DEA Warns Public of Extortion Scam by DEA Special Agent Impersonators | Sentry BioPharma Services, Inc.
Sentry BioPharma Services is helping the Drug Enforcement Administration to warn the public about criminals posing as DEA Special Agents or other law enforcement personnel as part of an international extortion scheme. The criminals call the victims (who in most cases previously purchased drugs over the internet or by telephone) and identify themselves as DEA agents or law enforcement officials from other agencies. The impersonators inform their victims that purchasing drugs over the internet or by telephone is illegal, and that enforcement action will be taken against them unless they pay a fine. In most cases, the impersonators instruct their victims to pay the “fine” via wire transfer to a designated location, usually overseas. If victims refuse to send money, the impersonators often threaten to arrest them or search their property. Some victims who purchased their drugs using a credit card also reported fraudulent use of their credit cards. 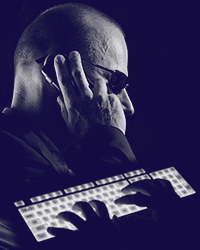 Sentry urges the public to use the link above to learn more about what basic pieces of information will help the DEA investigate extortion scams. For more information about how Sentry can meet safety and regulatory demands for packaging, storage, global drug distribution and disposal of controlled substances, contact Sentry via email or by phone at 1-866-757-7400. This entry was posted in News Post and tagged • controlled substance, • controlled substance pharmaceuticals, • DEA, • drug distribution, • Drug Enforcement Administration, • drugs, • Sentry, • Sentry BioPharma Services on February 23, 2017 by Sentry.